Brian C. Martel is a Partner in the firm’s Family Law department. 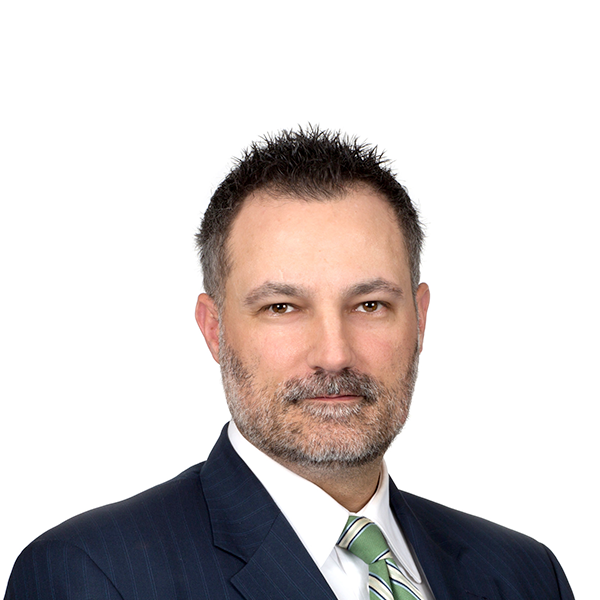 Brian has devoted 100% of his professional practice to family law and related matters, including all aspects of divorce, separation, custody and parenting time, spousal and child support, equitable distribution of property, prenuptial agreements, mediation, arbitration, domestic violence, post-judgment matters and appeals. Brian understands that your divorce and family-related matter can be an extremely emotional and financially trying time in your life. He treats all of his clients with the utmost professionalism, dignity and respect, while at the same time he vigorously advocates for his client’s interests and protects his client’s rights. Brian volunteers his time to serve as an Early Settlement Panelist in Bergen County, during which he reviews pending divorce and family law cases to make recommendations regarding potential settlement. Brian has also been appointed by the Superior Court to serve as an Attorney-in-Fact to intervene and assist in high-conflict cases. I used Brian for a Cohabitation litigation approx. 5 years after my divorce. Brian is knowledgeable, calm, insightful, polished and well spoken. It was reassuring to have him standing next to me in court. Moreover, the case we presented was architected so well that the opposition immediately made an offer after the first court appearance (while still in the courthouse). We declined and negotiated for several iterations and in the end I am now alimony free and Brian was even able to have my child support reduced (that’s right – not increased but reduced until both kids are emancipated). I truly can’t think of a bad thing to say about Brian and I highly recommend him. Brian Martel helped me get an excellent settlement agreement! Brian is very professional, explained the process and guided me step by step during the darkest time in my life. He was always by my side and replied to my emails and phone calls promptly. He also, taught my ex’s attorney couple of laws that they were not aware of. Brian helped me remove the emotion from the divorce process and got me the best possible deal. I would highly recommend Brian. It is with great pleasure that I write in support of Brian Martel. Any client in need of an attorney specializing in family law will tell you, it is an emotional and grueling process. Brian’s experience in the specialty shows itself from the moment you go for your first consult. He is professional, yet personable, developing a special relationship with his client to ease what is a very difficult time in one’s life. I cannot be more complimentary of his knowledge and skills. I recommend him highly. The divorce process can be very frustrating and exhausting. Brian Martel makes this process much easier to deal with. He is professional, intelligent, patient and extremely strategic. I am now raising my two young children, in my home that I kept during the divorce as a result of his great qualities. It is extremely important to hire a motivated attorney during a divorce and Brian Martel is that attorney. Brian is an excellent attorney. He is very knowledgeable, personable and forthright, as well as kind and caring. Brian returned my calls in a timely manner, listened to what I had to say, and he always gave me excellent advise and guidance. His staff is very organized, friendly and professional. When we went to court Brian was always punctual, well prepared and at the top of his game. Brian’s expertise and strategy were highly effective and instrumental in attaining a resolution to a lengthy divorce battle that 2 previous attorney’s could not resolve. I would highly recommend Brian. 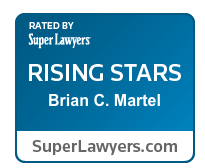 Brian Martel is dependable, knowledgable, intuitive, experienced and smart. He is tough enough to get what he needs from whoever he needs, when he needs to be, and yet sensitive to the needs of his clients. I felt that I was in the most capable hands. Brian is an expert and always professional. I would highly recommend Brian Martel to anyone I know. Filing for Divorce is not an easy process. It is emotional and stressful. I met with Brian for a consultation so that I was informed before making my decision to file. He was extremely patient and informative and took his time to make sure that I understood things. When I finally, decided to file, I knew that I felt more than comfortable with Brian representing me. I felt extremely comfortable working with Brian. I felt that he ALWAYS had mine and my children’s best interest in the forefront of every decision that he helped me to make. He also was extremely understanding and sensitive during this difficult time/transition. I would HIGHLY recommend Brian Martel as an attorney and know that If I ever had to utilize him again I would. Excellent, very professional, knowledgeable, helpful, honest and fair. He speaks the truth and follows up on any loose ends. Highly recommend !!! Brian is always thinking ahead and looking out for your best interest. He makes you feel that you are is only client. Honest, and knows his stuff. Wish I hired him sooner! Brian is the best lawyer I could have hired. He clearly knows the law and used his knowledge of it to obtain a favorable decision in my case. He is succinct and to the point, and gets the job done quickly and efficiently. I was more than satisfied with the customer service he provided, his professionalism while at trial, his ability to negate any false claims made by the defendant, and ability to achieve the desired and lawful results in the case. Very professional, articulate, competent and to the point. Brian shows compassion, while fully looking out for his clients best interest. He did not take an extra payout or charge me excessively. I was always give a statement of his account. Very satisfied client and I would Highly Recommend !!! Brian Martell is a phenomenal attorney. He responds quickly, is informative, always keeps you in the loop of what’s going on and makes sure you understand the process, and was fantastic at settling my case. My case had gone on for over a year and I didn’t see an end in sight, and Brian was able to bring us to the table to mediation and come up with creative solutions to resolve outstanding financial disputes. He made me feel comfortable and safe knowing I had excellent counsel on my side. I would absolutely recommend Brian to anyone going through a divorce and needing counsel. I plan to stay with him for any future matters. Brian Martel in my opinion has set the bar extremely high as an example of what other attorneys should be. He is not only a wonderful attorney who cares about his cases and his clients, but he is also a good man. He is extremely professional and dedicated. The circumstances of my case were very troubling and complicated, but Brian always made me feel that I could count on him and that he was truly my advocate. He was always prepared and let me know what I should expect. I always knew that he was accessible. He made me feel like my case was a priority to him and he was always willing to answer any questions I had. I felt very fortunate to have had Brian Martel on my side. I have known Brian Martel for a number of years and he has represented me through various post-divorce issues relating to custody and child support. Anyone that has been through a divorce knows that it is a very stressful and emotional process. It is important to have a lawyer that you feel you can trust and rely upon to assist you in making the right decisions for yourself and your children. Brian is this person. I would rate him as the finest lawyer that I have ever worked with. Mr. Martel is a great lawyer. He handled my divorce for me. We were successful at avoiding any major issues. I trusted him and was never disappointed. He worked hard to help me prepare for each phase of the process and his knowledge of the law and standards involved worked in my favor. He was very prompt at returning calls and quick to act when urgent matters were brought to him. The advice he gave me was excellent. prepared for court. I sincerely hope I never need his services again, but recommend him highly. Mr Brian Martel has taken care of me in a very professional manner. We have had quite a few dealings together. All were handled in a manner quite satisfactory to me. I felt completely at ease in our discussions involving all legal matters. I would highly recommend him to any of my associates, involving all legal matters.